Should you invest in precious metals stocks again? Will they become the top performer in 2016? 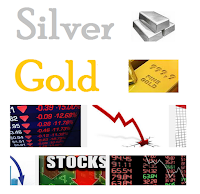 During week 38, 2015, top stock market industries are silver stocks, and gold stocks. This post will look into the top performing stocks, industry, and sector. The S&P 500 index has a weekly return of -0.13%. NASDAQ Composite has a weekly return of 0.10%. Dow Jones Industrials Average has a weekly return of -0.29%. The small cap (Russell 2000) has a return of 0.51%. Federal Reserve decided to leave interest rates unchanged. Stock Markets are down again. Europe's Altice will buy Cablevision as it expands in US. Global growth is still concerning. Oil market is still trying to recover. Biggest decliners in the Dow industrials are Goldman Sachs Group and J.P. Morgan Chase.